Preheat oven 350 degrees. In a large bowl, add cake mix, mashed bananas, cinnamon, coconut, walnuts, water, vegetable oil and eggs. Mix well. Line regular muffin cups with paper cupcake liners. Fill the cups half full with batter. Bake for 16 to18 minutes, or when toothpick inserted in center comes out clean. Enjoy! Yum! I bet swapping (at least some) of the veg oil for coconut oil would make these extra coconutty and delicious! MMM, so many of my favorite things in this recipe. Looks delicious! I love these flavors together, yum! Coconut oil would be good. Cinnamon is such a spice adding to baking and making curry. I have just brought some bananas as the price finally come down. Would be great to be able to put banana into baking again! Awesome combination of flavors in a muffin, great recipe! Love the combo of the coconut, and banana. Yummy muffins. Buzzed you! Thanks for all the wonderful comments. I love hearing from you. You make me happy. This sounds like a very delicious combination! Love, love, love. You know me and coconut! Very nice outcome and its one of those I can make as so simple to bake this lovely muffins, nice with coconut and bananas in. I found your blog through Lorraine at Multi-Dimensional Life...this post was very informative, especially for a 'spice' that is one of my favorites!!! Christine, I love the flavor combination. It nearly amounts to a tropical style dessert. Very clever recipe! This sounds not only tasty with great combinations but also a real speedy treat. You've also made me want to go to Sri Lanka - I ADORE cinnamon! Great ingredient combination,I want that for my breakfast right now :) looks so good! I just love coconut flavor and its in muffins super:). I pretty much add cinnamon to all things. Your muffins are filled with my favorite things. Yum! This is a nice twist on your normal banana recipe-and I love recipes that use cake-mix!...i bet coconut would taste wonderful in banana bread! A great way to bring tropical flavors into the kitchen in the winter! Mmmmmm....the coconut sounds like an amazing addition! Have a great Thanksgiving, Christine! It's amazing that so much work goes into a spice that I use almost on a daily basis! Cinnamon totally says "fall is here" and I love it. What a welcoming aroma. I'm a big muffin fan to and I'll be tucking this recipe away for safe keeping! 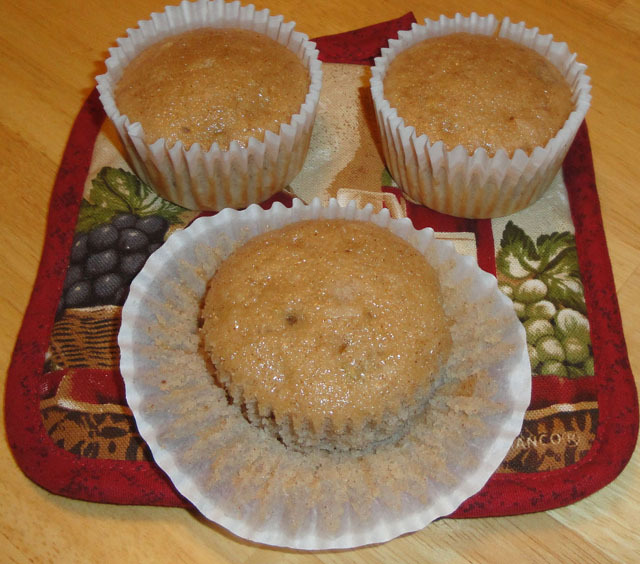 I love coconut and banana together these muffins sound fantastic. *sigh* I love cinnamon. It's a difficult time of year to be allergic to it...because it's everywhere...and SO yummy! I love this combination. Hope you had a wonderful Thanksgiving day yesterday! I love coconut! Those muffins sound delicious!